Piqua, Ohio, April 14, 2015 – Owners and Operators of Cirrus SR22 series aircraft can now purchase Hartzell Propeller’s three-blade structural composite carbon fiber propeller for aircraft that were originally delivered with metal props. This is the same ASC-II™ composite propeller that is incorporated on all new SR22T single engine aircraft that Cirrus delivers to customers. The three-blade propeller s with the lighter, more advanced 7605(C) carbon fiber blades and polished spinner are available through Hartzell’s Top Prop program, at a special discounted price of $23,943, or $24,249 with anti-ice boots. In 2014, Hartzell and Cirrus Aircraft announced a five-year extension of an exclusive supplier agreement to provide propeller systems and governors for all of Cirrus Aircraft’s new prop-driven airplanes. Hartzell Propeller provides Cirrus with three-blade metal propeller systems for SR22 and three-blade composite props for SR22T aircraft. Hartzell worked closely with Cirrus to develop high-performance, low noise two- and three-blade propellers for the SR20 and later developed a new advanced three-blade structural composite propeller. These propellers incorporate Hartzell’s blended airfoil technology. Cirrus Aircraft is a recognized leader in general aviation. Its all-composite line of personal aircraft – the SR20, SR22 and the turbocharged SR22T – incorporate innovative and advanced performance, electronic and safety technologies, including Cirrus Perspective™ by Garmin® avionics and the unique Cirrus Airframe Parachute System™ (CAPS™). 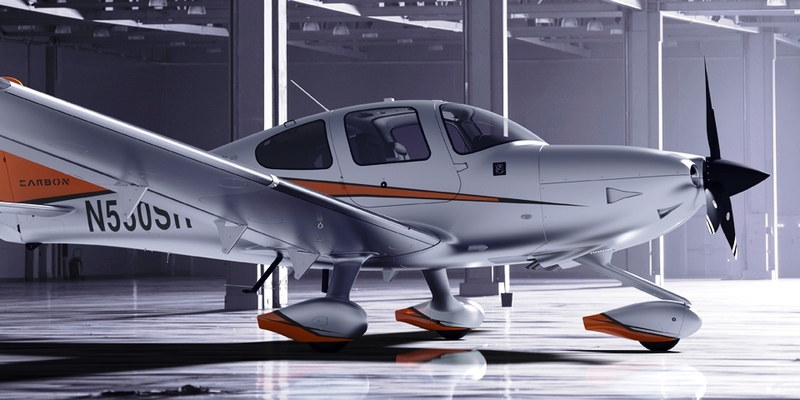 To date, total time on the worldwide Cirrus Aircraft SR-series fleet surpassed six million flight hours with 105 lives saved as a direct result of CAPS being a standard safety feature on all Cirrus aircraft. The Cirrus Vision SF50™, with over 550 production positions reserved, will provide a new personal and regional business transportation solution: the personal jet. All Cirrus aircraft are made in the U.S. with a direct sales force in North America and authorized sales centers covering export markets in 60 countries around the world. Cirrus Aircraft is wholly owned by China Aviation Industry General Aircraft Co., Ltd. (CAIGA). Cirrus and Cirrus Aircraft are trademarks of Cirrus Design Corporation d/b/a Cirrus Aircraft. All rights reserved. For additional information on Cirrus and its products, please visit cirrusaircraft.com.